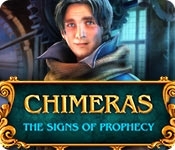 Elephant Games, the studio that brought you Haunted Hotel and Hallowed Legends series, warns you to prepare for the end of the world in the next thrilling chapter of Chimeras! A dark shadow falls over the city of Munich during a solar eclipse, causing a chain of supernatural events and shocking murders. The police are baffled and need your help to solve the crimes. But another darker force is at work, and there are whispers of a secret society. A fortune teller warns of a mysterious wanderer who holds the key to the city's fate. She claims you're the one who will guide his path. Your choices will have consequences! Will you cause its destruction, or will you raise it from the ashes? Find out in this heart-pounding hidden-object puzzle adventure!